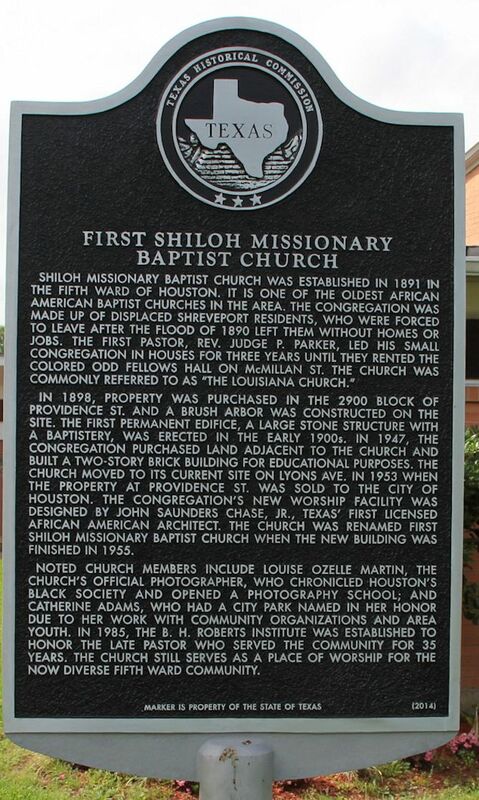 First Shiloh Missionary Baptist Church Historical Marker. Louise Ozelle Martin was the Church's official photographer. Image available on the Internet and included in accordance with Title 17 U.S.C. Section 107. University of Denver Logo. Courtesy of the University of Denver. Image available on the Internet and included in accordance with Title 17 U.S.C. Section 107. MARTIN, LOUISE OZELLE (1911–1995). Louise Ozelle Martin, photographer, was born in Brenham, Texas, on January 9, 1911, to Barbara (Harris) Martin and Vanda Martin. She was the middle child with two brothers, Earnest Bouldin (1906–1918) and Leon Lenued (1915–1963). Her father was a waiter and her mother a maid. From a young age, Louise was determined to become a photographer. Her first camera, a Kodak box camera, was purchased by her mother from an old German photographer who operated a studio in Brenham and processed all of Louise’s film. She attended Yates High School in Houston for a time and served as the school photographer before graduating from her hometown school in Brenham. Martin worked as a domestic in the River Oaks neighborhood of Houston to pay for her studies. Ultimately, she left the South, where schools that offered studies in photography only admitted white students, and went to the Art Institute of Chicago and then the American School of Photography in Chicago. Eventually, she enrolled at the University of Denver’s School of Photographic Arts and Sciences, where she was the only black woman at the time, and earned a degree in photography. World War II offered many opportunities to photographers who filled the great demand for taking portraits of servicemen. Martin, still studying at the university, took advantage of this demand and continued to hone her craft as many soldiers even came to the university’s photo school to have portraits made. On February 14, 1945, she married Uriete Boze, but the marriage lasted just over a year. He wanted a traditional wife, and she wanted a career as a photographer. Texas Professional Photographers Association Logo. Courtesy of Texas Professional Photographers Association. Image available on the Internet and included in accordance with Title 17 U.S.C. Section 107. Martin’s studies in Denver provided valuable connections to professional organizations which led to her longtime membership. In the early 1950s she was a member of the Rocky Mountain Association and regularly attended that organization’s conventions. In 1952 its president asked her to join the Southwestern Photographers Convention (its only black member) and submit five of her photographs for exhibition in a blind competition. The only member with all entries selected, she won several top awards. That experience led to memberships in the Texas Professional Photographers Association, the Professional Photographers of America, the Southwest Professional Photographers Association, and the Business and Professional Women’s Association. Louise O. Martin's photograph of Dr. Martin Luther King Jr.'s Funeral Procession, Atlanta, 1968. Courtesy of the International Center of Photography. Image available on the Internet and included in accordance with Title 17 U.S.C. Section 107. Photograph, Portrait of Coretta Scott King by Louise O. Martin, 1970. Courtesy of the International Center of Photography. Image available on the Internet and included in accordance with Title 17 U.S.C. Section 107. Martin opened her own studio, the Louise Martin Art Studio, in Houston’s Third Ward in 1946 and established herself as Houston’s “society photographer,” a pseudonym that stuck with her. She photographed schools, families, models, soldiers, pageants, organizations, and church groups all over Harris County and other Texas areas. She was a journalistic photographer for the Houston Forward Times and the Houston Informer, two black Houston newspapers. She was heralded for her use of lighting as well as her skill at hand-painting photographs. In 1967 Martin was named Outstanding Business Woman of the Year by the Houston League of Business and Professional Women. She was the only African-American female photojournalist assigned to the funeral of Martin Luther King in Atlanta in 1968, and her coverage of the funeral yielded several significant photographs, which increased her notability and attracted major museum acquisitions. Some of the photos appeared in Life magazine. She also photographed the famed contralto Marian Anderson. 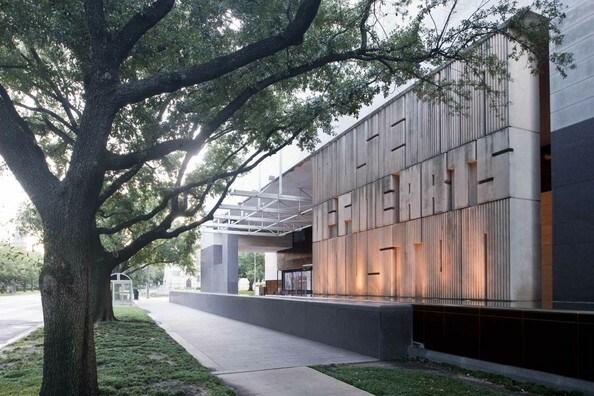 Museum of Fine Arts, Houston. Image available on the Internet and included in accordance with Title 17 U.S.C. Section 107. Martin was among community black women honored by the Houston Chronicle in 1969, and she had twenty-seven awards in photography by the early 1970s. She founded the Louise Martin School of Photography (1973–76), an intensive sixteen-week course of study with more than eight additional advanced courses, including Photo Oil Coloring. Her students were local and from out of town. Considered a pioneer for female African-American photographers, Martin left a photographic legacy that provides a notable chronicle of black society in Houston, and a number of her images are included in the permanent collection of the Museum of Fine Arts, Houston. Martin died in Houston on July 11, 1995. Her funeral took place at First Shiloh Missionary Baptist Church, and she was buried in Willow Grove Cemetery in Brenham. Houston Chronicle, July 13, 14, 1995. Ms. Louise Ozelle Martin (funeral program) First Shiloh Baptist Church, Houston, Texas, July 15, 1995. Jeanne Moutoussamy-Ashe, Viewfinders: Black Women Photographers (New York: Dodd, Mead and Company, 1986). Deborah Willis, Reflections in Black: A History of Black Photographers, 1840 to the Present (New York: W. W. Norton, 2000). Ruthe Winegarten, Black Texas Women: 150 Years of Trial and Triumph (Austin: University of Texas Press, 1995). Handbook of Texas Online, Sarah A. Trotty, "MARTIN, LOUISE OZELLE," accessed April 20, 2019, http://www.tshaonline.org/handbook/online/articles/fmara. Uploaded on June 13, 2013. Modified on May 18, 2017. Published by the Texas State Historical Association.